Animal Planet follows the outstanding work of the Animal Cruelty Inspectors at the Cape of Good Hope in South Africa, in a brand new series of the ever popular ‘Animal Cops'. 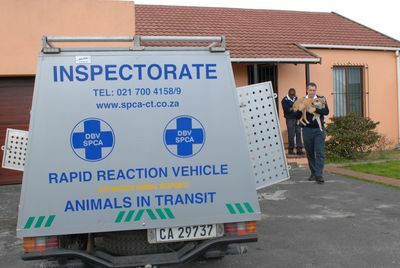 With just 12 full time, uniformed, inspectors on the road investigating animal cruelty complaints across Cape Town and beyond. The facilities at the centre in the Cape of Good Hope, includes housing for 400 dogs, 200 cats and 25 horses with 80 staff on site to take care of all those animals seized. The series joins the officers as they investigate dog fighting, a popular and illegal sport in the area, whilst the wildlife rescue team deal with anything from seals, baboons, crocodiles, tortoises, snakes and birds of prey to zebras, impalas and even penguins- and Animal Planet will be there to witness all the action.